Wonderful dance music provided by The Coalbrook Band featuring the entire Strutt family (Helen, Greg, Jennifer & Catherine) together with Chris Duncan and Bob Innes. Practices in Newcastle & Sydney during August (details below). 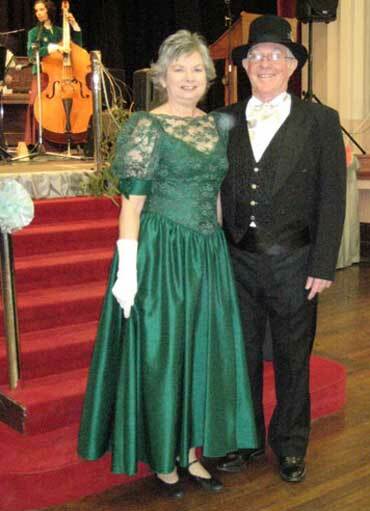 The Bush Music Club holds its Colonial-style Subscription Ball in August each year. 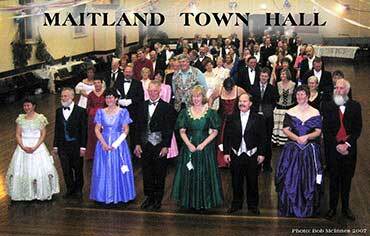 For many years this has been held in Maitland Town Hall, in part because there is a dedicated band of Newcastle dancers who have willingly taken on the organisational role, and partly because the Maitland Town Hall has one of the best sprung dance floors in the country. Visit the BMC web site for more information. 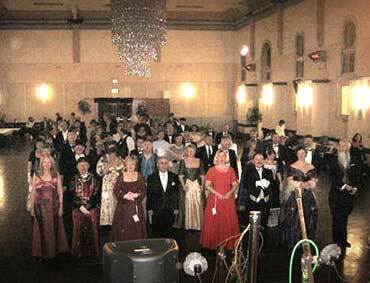 The musical line-up for the Ball has for many years been the Coalbrook Band who have handled the large diversity of musical styles with great accomplishment. 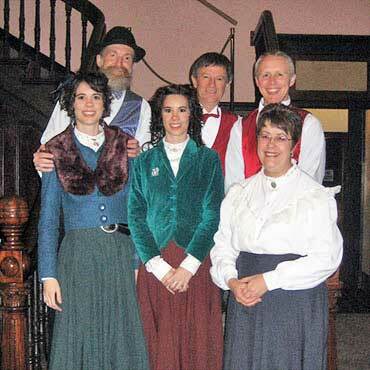 Again this year we will enjoy the musical talents of this group. 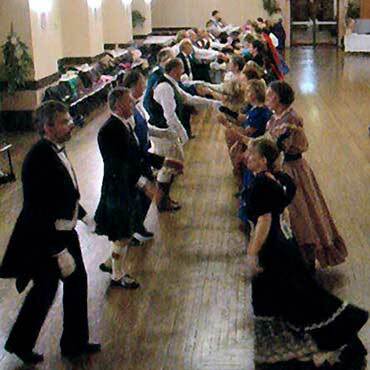 A mixture of Colonial, Traditional and dances reflecting the diverse nature of social dancing in the Newcastle, Central Coast and Sydney areas. All bookings should be received (for catering purposes) on or before Sunday 21st August. Cheques payable to 'Hunter Folk Dancers'. Hors d'oeuvre on arrival and two buffet style suppers during the evening. Cold water and drinks, tea and coffee available all night. A recovery picnic/barbeque is held on the following day so come and make a weekend of it. Music and dancing, of course! Musicians welcome. BYO chair if possible. Enquiries: Bill Propert 02 4946 5602. Other practices at Pennant Hills and Canberra may be arranged. Enquiries: Felicity (02) 9456 2860 or John (02) 9623 7551. Attendances at practices is highly recommended! Photos courtesy of Coalbrook Band, Don Richmond, Kim Nolan and Bob McInnis.